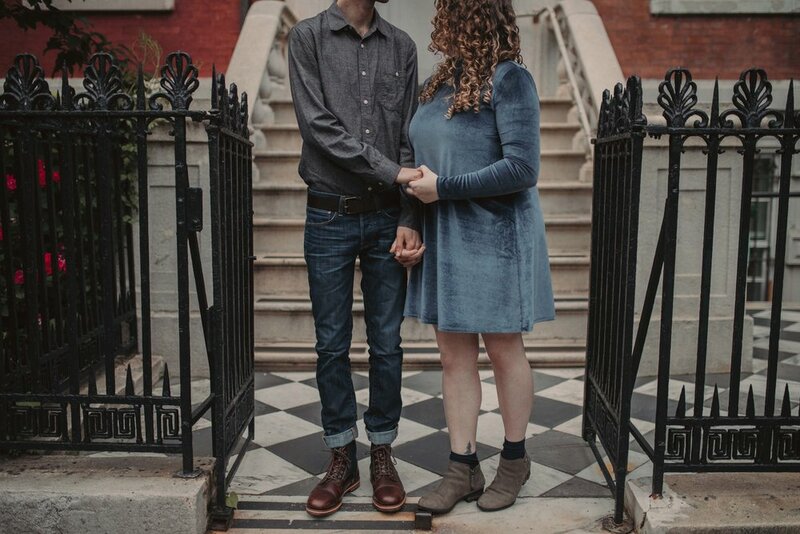 Hanna Walters and Kyle Willis have the cutest story on earth. 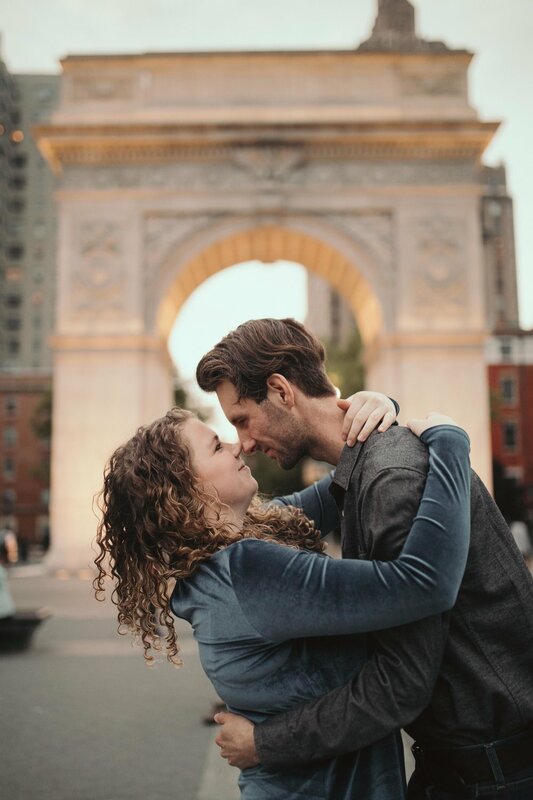 They are two years into a long-distance relationship (Hannah in Portland, Oregon and Kyle in New Jersey) and met over Instagram. 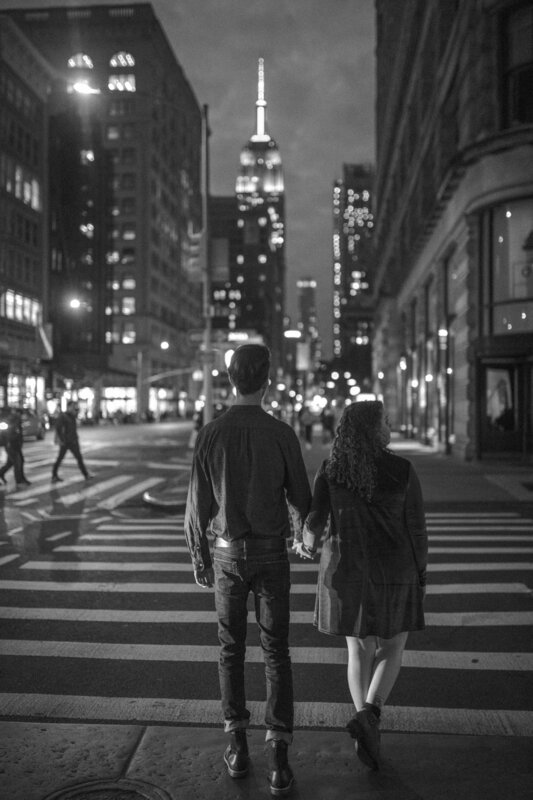 They are both incredibly talented photographers and photograph weddings together. Please be sure to go check out their work! I have been following them for probably two or three years (and Kyle is OG Build + Bloom) and I was so happy to finally photograph them! 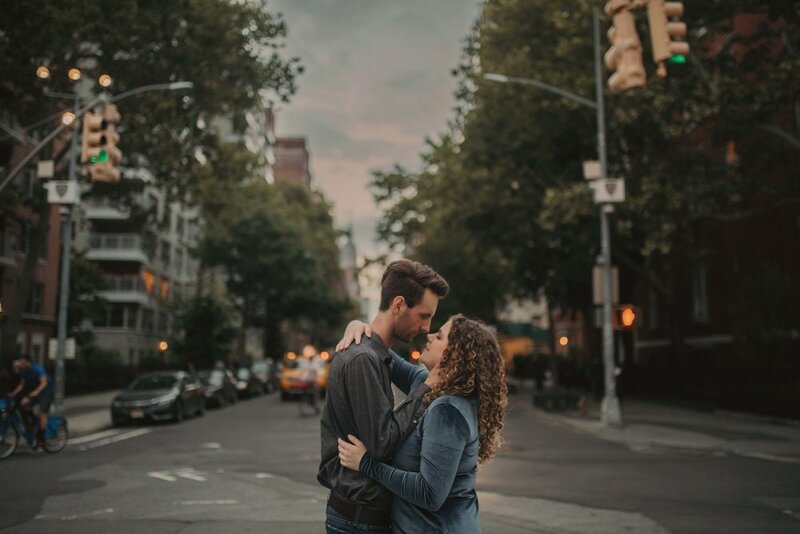 We shot these during blue hour at Washington Square Park and Flatiron in NYC. All color images are edited using Payton Hartsell's "Gardenia" preset from her Chill + Cheer pack and the black and white images are using "Tomboy" from my Girls Chase Boys adobe lightroom preset pack. Shot with my Canon 5D Mark IV + Sigma 35mm art lens.